I am an Operations Assistant working for the Robotics Institute (part of the School of Computer Science) here at Carnegie Mellon University in Pittsburgh, Allegheny County, PA. I joined the Robotics Institute (my official homepage) in 1983; previously I worked for the Electrical & Computer Engineering Department as an Engineering Technician. In 1973, when I first started at Carnegie Mellon, I was an Electronics Technician for the Biomedical Engineering Program. Since late 2012, I have been providing some content and personnel contact info checking for the RI website - in early 2015 my position was consolidated with another position and I am now much more front-desk administrative. From June 1998 through October 2012 I maintained and provided most of the content updating to the official Robotics Institute webpages while working on the projects below. 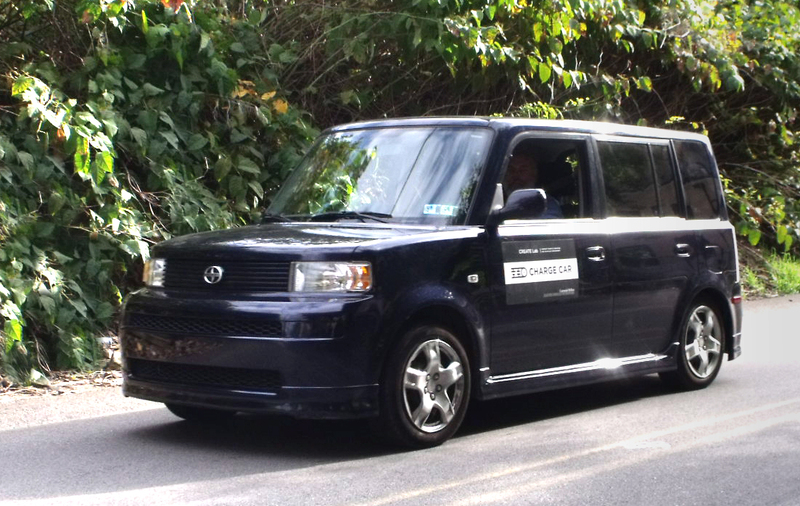 I consulted on the early phase of the ChargeCar project, in which we modified a Scion XB to run from batteries and supercapacitors. In 2009 we spun off our own version of the TAOSF and put a fleet of Sea-Doo-powered kayaks in nearby Pather Hollow Lake. 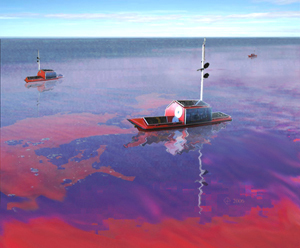 From September 2006 through September 2009 I was a member of the Telesupervised Adaptive Ocean Sensor Fleet (TAOSF) project team in the Tele-Supervised Autonomous Robotics Lab. 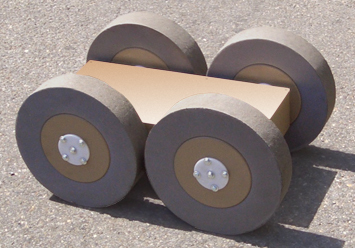 Throughout most of 2006 I helped design various versions of the low-cost Explosive Ordnance Disposal Robot - Very Low Cost (EODR-VLC) , "Yoder" for short, a disposable first-reponse mobile robot. The project is no longer active - we planned to build an articulated version - but there was no funding. Yoder was one of the robots in an Engineering Your Future (EYF) workshop in mid-July 2006. Starting in April 2005 and for approximately two years after that, I was on the Wide Area Prospecting Using Supervised Autonomous Robots project team. Specifically, I helped to design the Networked Communication System (NCS) for this project. 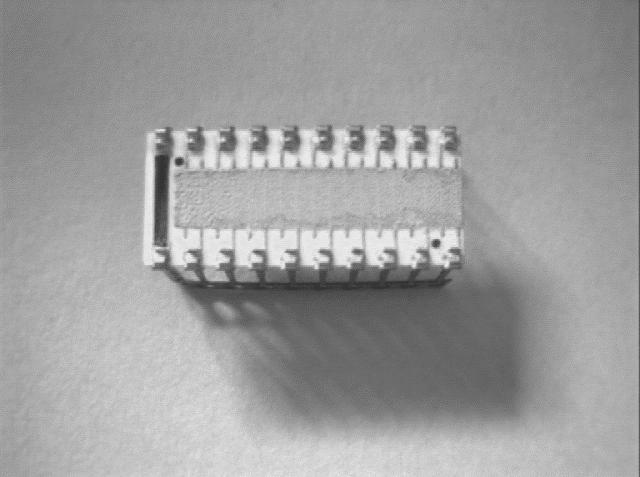 Early March 2003 found me again working for Cam Riviere, assembling the third generation of the Micron. During November and early December 2002, I again worked for Lee Weiss, designing and assembling a rackmount consolidation of the dispenser controller system. 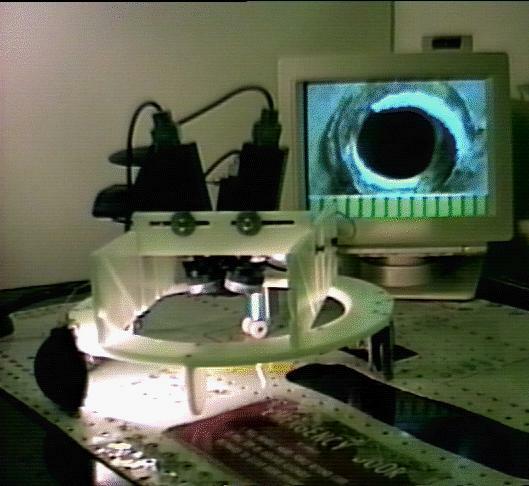 During April 2002 I worked for Cam Riviere's Medical Instrumentation Lab where I am assisted in the design and implementing of the second-generation Micron hand-held retinal surgery tool. From December 2001 through January 2002 I continued working for Lee Weiss, implementing and testing a dispenser controller. During November 2000 I again worked for Lee Weiss, modifying an Epson 900 ink-jet printer to deposit protein "ink" on microscope slide substrates. From late January to late May 1999, I worked for Ralph Hollis' Microdynamic Systems Lab where I assembled Minifactory baseunits and frames, which supply power, communications, and pneumatics to the overhead manipulators and courier robots. Prior to that, I designed and built an Opto-22 based controller / interface for the Shape Deposition Lab directed by Lee Weiss. For many years before that, my primary research was (still with Mel Siegel) in 3D stereoscopy, comprising both the theoretical aspects of compressing two stereo image streams sufficiently to fit in a nominally single-channel bandwidth and the practicality of adding stereo video / images to commercial and industrial applications. See Software for 3D-TV and 3D-Stereoscopic Computer Workstations for a summary. 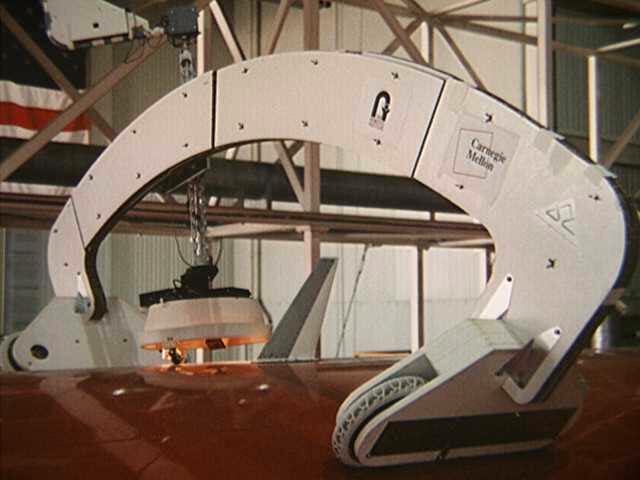 Most of our recent projects have been in robotic inspection using both 3D stereoscopic displays and image enhancement techniques to provide a safer and more efficient (and thus a better ROI) device for aircraft inspectors. For an overview of aircraft inspection robotics see Remote and Automated Inspection: Status and Prospects. When I first joined the Robotics Institute, I worked for Mel Siegel's Intelligent Sensor, Measurement, and Control Lab researching sensors and sensor-based instrumentation, primarily for process control enhancement. Image Enhancement and Understanding for Remote Visual Inspection of Aircraft Surface. Every moving vehicle makes some noise, either internal (engine, vibration, power train) or external (wind effects and interactions with surfaces). These noise signatures, for similar vehicles in similar circumstances, are diagnostic and can be used for vehicle identification and tracking. 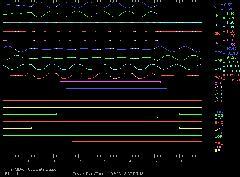 Vehicle Sound Pattern Recognition by Frequency Vector Principal Component Analysis describes our research. One of the most important controllable aspects of aircraft visual inspection is the lighting. Inspectors typically use a flashlight and rotate it around the area of interest to help them decide if a crack is really a crack. We built a PC-controlled Test Inspection Platform (TIP) to demonstrate selectable lighting angles and incorporated that research into CIMP. During 1994 we did a literature survey and concept design for the U. S. Coast Guard. The Coast Guard is responsible for ensuring safe transport and storage of any hazardous materials shipped via inland and coastal waterways. When accidents involving such materials occur, they must evaluate the situation. They wanted a teleoperated robot that would precede a Hazmat Team into enclosed areas and transmit (stereo)video imagery and some level of chemical analysis data from onboard sensors and samplers to minimize both the danger to and the in-suit time of the team. 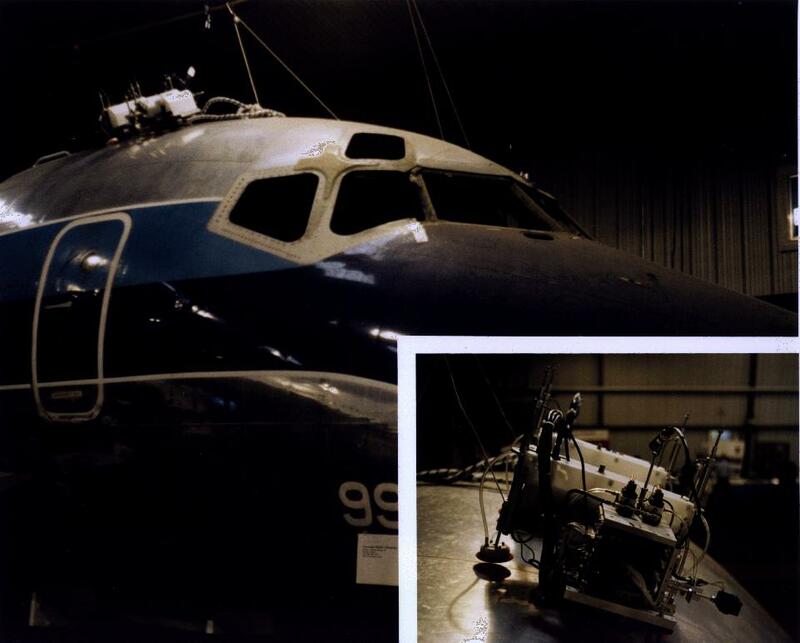 U. S. Patent 5 429 009, 1995.
along with the near-loss of Aloha Airlines Flight 243 on April 28, 1988 were the springboard to launch the ANDI Project. Most of our projects prior to ANDI were sensor-based; consisting of the design, modification, or implementation of sensors for measurements without a robotic presence. In 1992 for the CSX Corporation, we prototyped a sensor for mapping the magnetic structure of railway car undersides to identify car types and (possibly) individual car identities. Screening digital relay data to detect power network fault response anomalies. Orientation invariant light source parameters. Dual Gradient Thick-Film Metal Oxide Gas Sensors. and U. S. Patent 5 015 867, 1991. We had the country's first computer-controlled nanobrewery in 1982! This long-running project, sponsored by Air Products and Chemicals, Mine Safety Appliances, American Cyanamid, and Travenol Laboratories (now part of Baxter International), investigated distributed process control techniques, analytical instrumentation, and sensor components as they applied to fermentation. Unfortunately, (for legal and safety reasons) the beer was deliberately made to be undrinkable. The process was initially controlled by an ISAAC / Apple-II Automated Data Acquisition and Control System, later by a Keithley DAS, and finally (with the advent of RS-232 control modules from the DGH Corporation) was a truly "distributed" system. The testbed was decommissioned in 1995 to make room for TIP and CIMP. There have been numerous other projects and spin-off researches done concurrently with the above; most of our earlier publications can be found here in both PostScript and PDF formats. 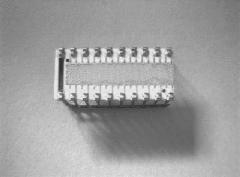 When I worked for the Biomedical Engineering Program (in the mid-70s), I built some of the early Displacement Cardiograph. prototypes and prototypes of LED-based blood oximetry devices. I'm only distantly related toCathy! My folks are retired and living at The Plantation at Leesburg in Lake County, Florida, where my dad worked (until 2005) part time at the Mission Inn Golf & Tennis Resort. My dad piloted (and co-piloted) C-47s during WWII - here's a page with pictures and more info. Thanks to: Jim's Cool Icons for the "MORE" pushbuttons!